If you wish to join our network of practitioners, the minimum requirement is completion of our Online/Live training course. • Approved Somnowell Practitioner status and registration number. 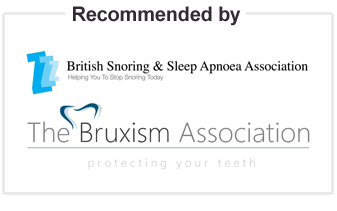 • Somnowell Practitioner Manual, patient information leaflets, and a selection of posters. • Access to the Somnowell Online Course (6 CPD Points) and login to Practitioner portal for the latest clinical information, marketing tools, training, videos, forms, letters, and more. • Advance notice of courses and special discounts. • One reduced price Somnowell device made for yourself. (OPTIONAL) Demonstrator Somnowell on Typodont models with display case. Price £495.